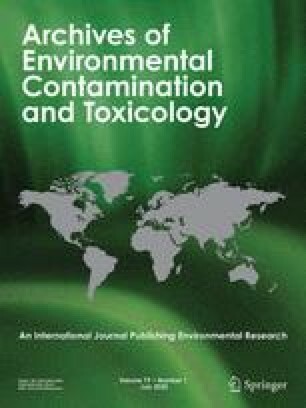 Adult and juvenile rainbow trout, Oncorhynchus mykiss, were exposed for 30 days to CdCl2 in water (10 and 25 μg Cd/L for adults, and 1 and 5 μg Cd/L for juveniles) to investigate effects of subchronic exposures to Cd on the hypothalamo-pituitary-interrenal and the hypothalamo-pituitary-thyroid axis, and on metabolic status. Liver size and glycogen content and body mass gain were significantly reduced in the exposed adult fish and similar changes were detected in the juveniles. Plasma cortisol levels increased after exposure to the lower dose but decreased at the higher dose. Plasma T3 and T4 tended to decrease in the exposed adult fish. No significant differences in plasma glucose or cholesterol levels were detected between the controls and the exposed fish, plasma calcium levels were lower in the exposed fish. The results indicate that long-term exposures to Cd at sublethal doses have adverse effects on the physiological status of the fish and that these effects are mediated partly through alterations of endocrine function.